Cyber hub offers an amazing place in terms of food as well as drinks. Firstly the place is big enough for a party with friends as well as for a date. The decor is really beautiful. Looks really great with the different sections organised in an amazing manner. The lighting is dark. Coming to the drinks, the place has crafted beer and a lot of other options. Cocktails are also great. Red wine sangria is amazing. Do try the cocktail with Irish whiskey. In food, chole bhature tacos are a great combo if you love north Indian cuisine. Sushi both veg and non-veg is really good here, so do try that too! Charcoal Dahi ke kabab is something very unique here. Overall the variety and service are amazing. 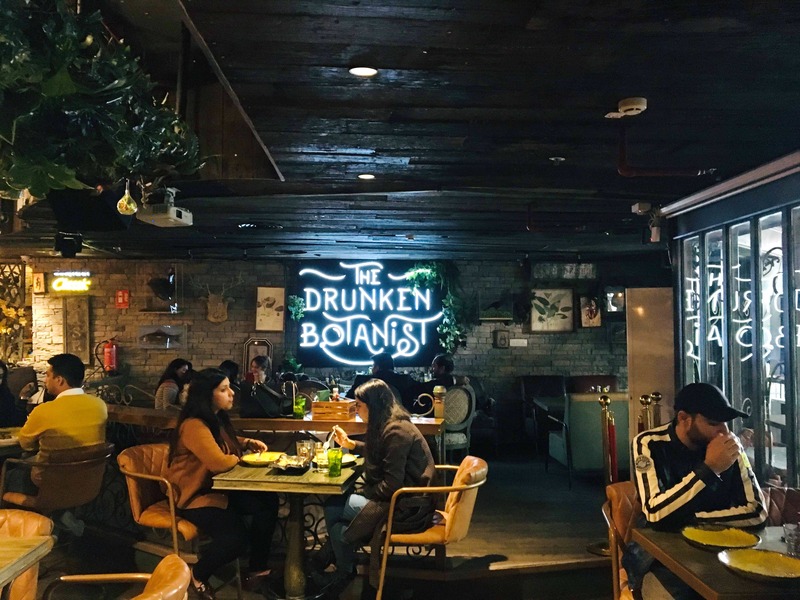 Surely The Drunken Botanist is a place to hang out with friends! The quantity per portion is not that much so order accordingly.